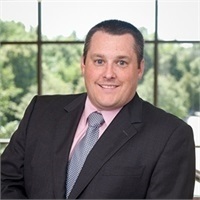 Darren Violette, a Principal of Profectus Financial Partners, has passed the rigorous American College certification of Chartered Special Needs Consultant®(ChSNC®), an advanced designation. The demand for financial advisors who understand the complexities of planning for the disabled has grown as more families include individuals with special needs and as laws that govern this field have become more complex. Headquartered in Dedham, MA, with locations in Whitinsville, MA and Atlanta, GA, Prospectus Financial Partners is a preeminent strategic advisory firm that delivers integrated financial plans to business owners, individuals and families to help them enhance wealth and maintain financial balance. Mr. Violette and his partner, Brandon Jordan, work with clients on a wide range of issues including financial protection, wealth accumulation strategies, using a comprehensive planning method which coordinates all aspects of their personal economies. Profectus Financial Partners also offers business planning services to business owners seeking assistance with succession and/or exit planning. To learn more, please visit www.profectusfp.com.